What was almost a tradition in Israeli elections came to an end this year. Traditionally, the Palestinian electorate in Israel called for a boycott of the voting process. This time was different with leaders of both Hamas and Fatah urging them to vote for the ‘Joint Arab List’. Their call was endorsed by local Palestinian leaders in Israel itself. At least two prominent Jews in Israel also endorsed the Party, Avraham Burg and Gideon Levy, both urging Jews to vote for it. Uri Avnery was tempted to join the endorsers, but if you read THIS you will see how his zionist sentiments stopped him. While the Joint Arab List hoped to gain 15 Knesset seats in the recent elections, it still garnered a big achievement with the 14 seats it received in Israel’s 20th Knesset. Newly formed Joint Arab List becomes third largest party in the Knesset after elections; party members promise to take care of important issues in Arab sector and strengthen Palestinian identity. After a high voter turnout in the Arab sector, some polling stations registered a voter turnout of more than 70 percent, the true test of the Joint Arab List will be to stay united and prevent itself from scattering into smaller factions. 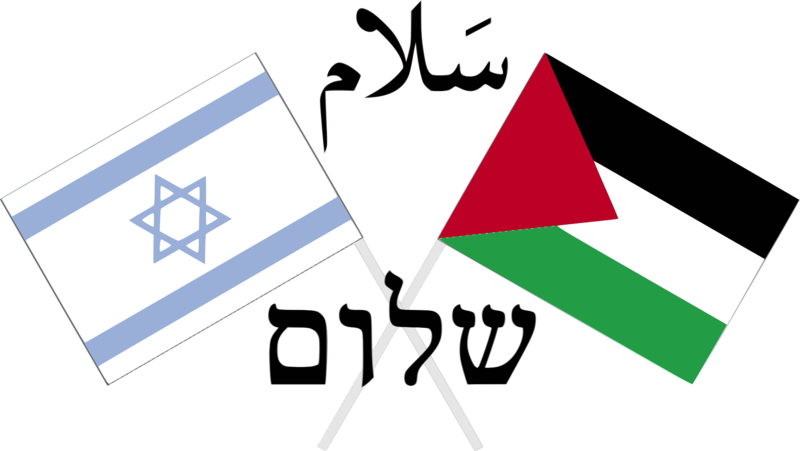 Many Arab Israeli citizens called upon the members of the party to continue working together on a joint political platform. The party has seven new MKs, among them the head of the Joint Arab List Aiman Uda, a resident of Haifa. The other new members include Aida Touma-Sliman (Akko), engineer Abd al-Hakim Hajj Yahya (Tayibe), Dr. Yosef Jabareen (Umm al-Fahem), lawyer Osama Sa’adi (Arraba), and Dr. Abdullah Abu Maaruf (Yarka). 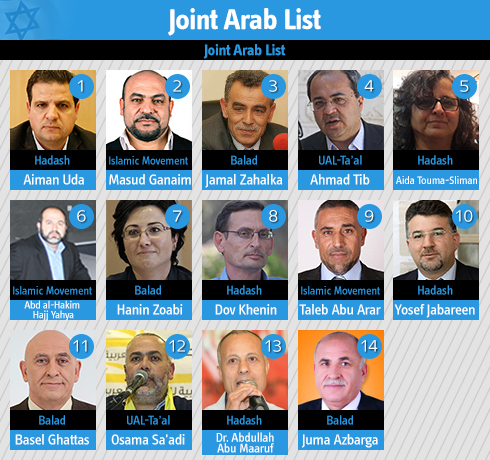 The Joint Arab List includes two women and 12 men. “I hope these results will be a lever for continued cooperation with the (Arab) sector, in order to serve it in all sorts of areas, even outside of the Knesset,” said MK Abd al-Hakim Hajj Yahya. “There are a lot of social causes that the Joint Arab List can contribute to. The results of the elections are not a surprise to us, but it is good news. The comments made by Netanyahu against the Arab sector in the last days of the campaign did not make a big impact, but the warning Netanyahu made is very dangerous for the continuation of co-existence,” said Hajj Yahya. “Likewise, I will focus on the employment of Arab women and legislation to protect women from violence. Of course the diplomatic issue cannot be ignored and the aspects of political activity,” she added. Sa’adi also said he would like to work on the issue of Palestinian detainees which he says is “a subject that has been close to my heart for over 25 years.” Sa’adi also plans to work on subjects such as land confiscation and housing demolitions. Dr. Yosef Jabraan, another new addition to the Joint Arab List, said that the party will focus on issues that were the basis of their election to the Knesset. “Education, housing and violence are the main issues that I want to deal with. These are the issues that our voters clearly brought up during the campaign,” he explained. And the Hope of Return! Jon Stewart Mocks Netanyahu: ‘Ginning Up Racist Fears of Minority Turnout’? That’s Our Thing! Given that there will be no Palestinian State, and Given that Israel has stolen all of the West Bank and Jerusalem, WHEN DO THE PALESTINIANS GET TO VOTE? Over a Million voting age Palestinians were denied the right to vote in this election. My point is that either Palestinians have their own State or they are citizens of Israel; It was incredibly tyrannical and evil of NutenYahoo and the Israeli government to refuse them any rights at all. Clearly they were not allowed to vote because NutenYahoo would have been voted out of office. This is typical NutenYahoo; if you can’t win honestly, lie, cheat, steal, manipulate, corrupt and kill until you do. Hitler had nothing on this maniac. This election was a sham because fully 1/4 of the population was systematically denied the right to vote. This is one of the terrible consequences of Israel’s Apartheid. But all the other countries in the Region have been invaded and destroyed by the US for doing exactly the same thing. (terrorizing large segments of the population and committing acts of terrorism) The only difference between Israel and the countries that have been destroyed by the US is that it is controlled by Jews. Apparently this is enough to ignore the ongoing crimes against humanity, war crimes, genocide and Apartheid that defines Israel today.